Free pass on all non-discrimination testing. 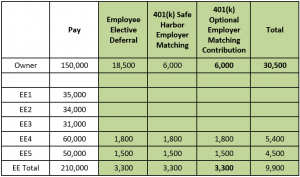 The missed opportunity for investment growth on fewer allowable contributions versus a 401(k) plan. 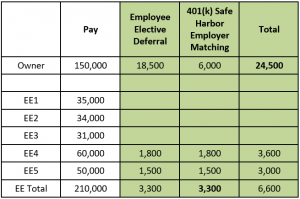 401(k) plans offer very similar design options to SIMPLE IRAs, yet they allow much greater dollar amounts to be deferred by employees and contributions made by employers. 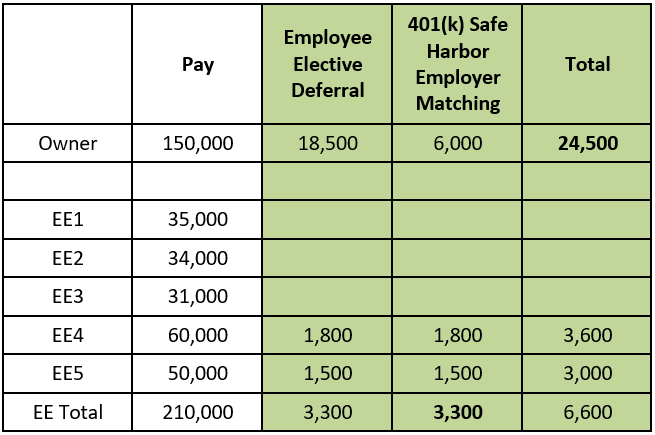 401(k) plans also offer the potential for more disparity between the amounts provided to the owner(s) vs. the amounts provided to employees. As companies grow and retirement looms closer for executives, upgrading the retirement plan from a SIMPLE IRA to a 401(k) could offer greater value and opportunity. 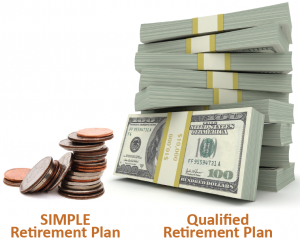 Let’s look closer at the two retirement options. 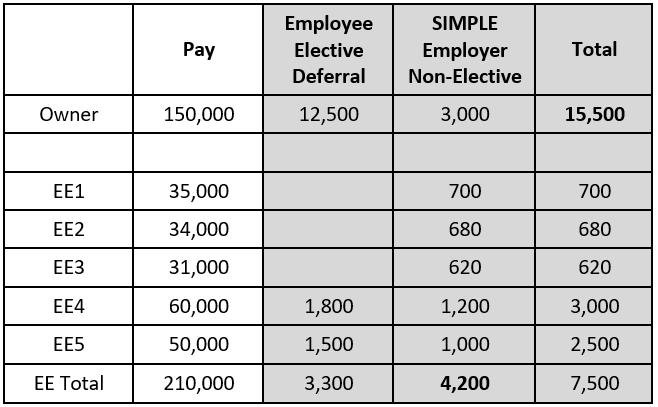 Let’s assume you’re a small closely held business-owner with earned income of $150,000 and an employee payroll of $210,000 spread among five employees. 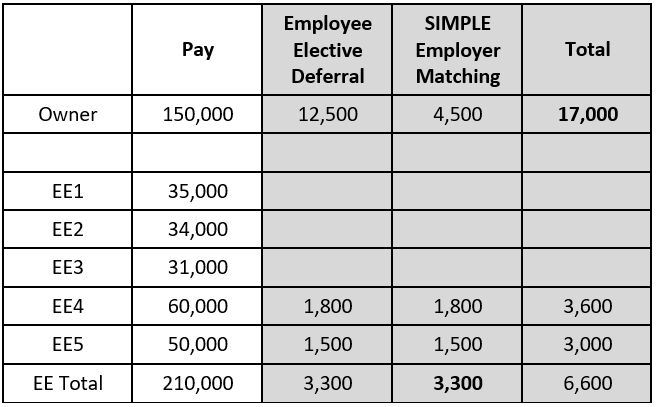 In exchange for the guarantee to provide a matching contribution to the employees (3% dollar-for-dollar match of the employees’ compensation) of $3,300, you’re able to contribute $17,000 for yourself. 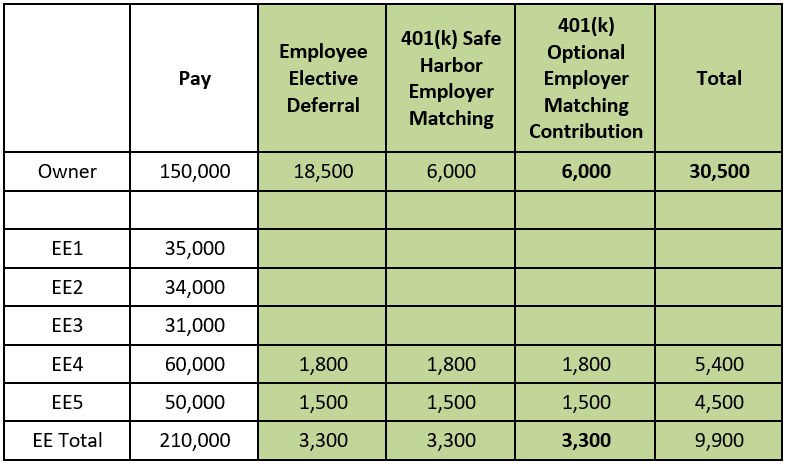 In comparison, under a 401(k) plan, assuming the same rate of contributions by the employees and using the most similar plan design, you’re able to contribute a greater amount ($24,500 rather than $17,000) for that same $3,300 contribution made for the employees. 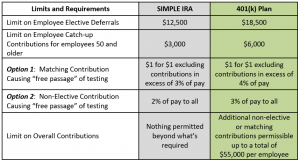 Unlike a SIMPLE IRA, a 401(k) plan allows you to add additional employer contributions in any given year. 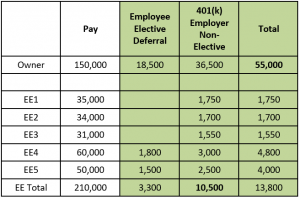 For example, in a year in which your profits are higher and otherwise would lead to greater taxable income, the profits can be deposited to the 401(k) plan and the tax is deferred. 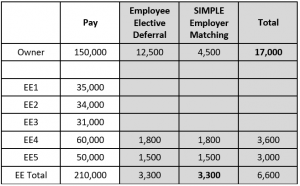 Here, by giving the employees another $3,300, you’re able to put away another $6,000. The above scenario does require that some of the employees be younger than the business owner. In order to prove that the current year contributions are not discriminating in favor of the owner, they are converted into their equivalent benefit amounts at retirement age. 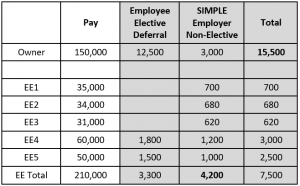 Younger employees have more time over which to accumulate (via compounding) earnings on their current year contributions. 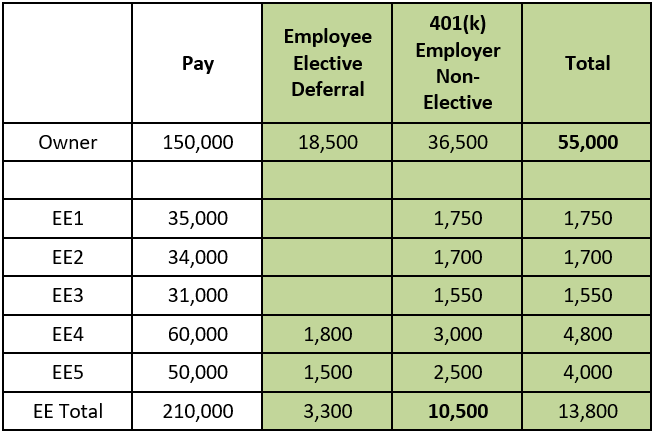 Therefore, while their current year contributions represent a smaller percentage of their current year pay than that of the business owner, their equivalent benefit amount at retirement will be much greater than the owner’s contribution at retirement. While the options listed above outline the differences in the current year contributions, it is really important to note that larger contributions then have more earning power in terms of market appreciation over time. 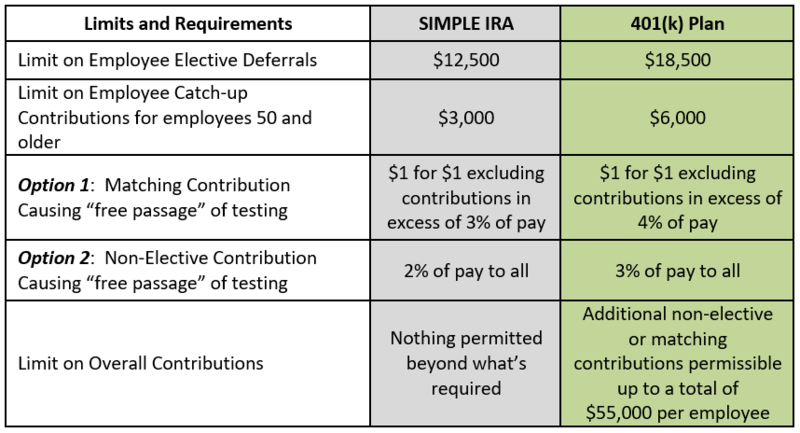 Letting just one year go by where contributions are limited may be costing you significant retirement plan earnings. Contact us to learn about the options available to you. All illustrations use the 2018 COLA limits. Plan Designs are for illustration purposes only. Any U.S. federal tax advice contained in this communication (including any attachments) is not intended or written to be used, and cannot be used, by the recipient for the purpose of avoiding penalties under the Internal Revenue Code or applicable state or local tax law provisions. 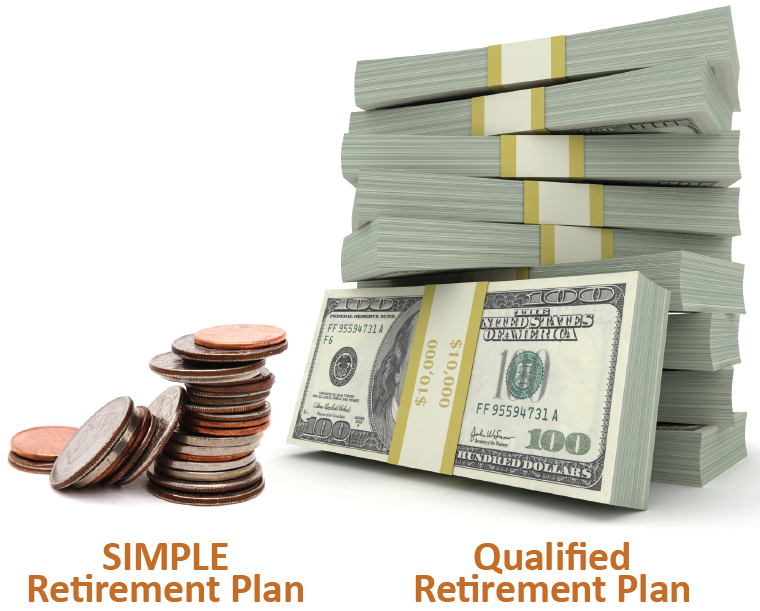 Contact us for a consultation about your retirement plan options.